Britain, you have a champion. 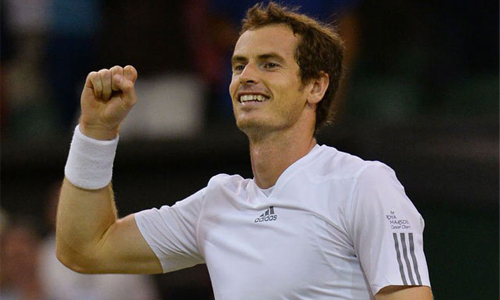 After 77 years without a British man winning Wimbledon, Andy Murray of Scotland defeated Novak Djokovic in straight sets, 6-4, 7-5, 6-4, to take home his first Wimbledon title. With the crowd behind him and the weight of the country on his shoulders, Murray came out of the gate strong, taking the first two sets and going up 2-0 in the third set before Djokovic came back to make it 4-2. Murray fought back to make it 5-4 and had triple championship point before Djokovic came back to make it deuce. Murray finally closed it out on his fourth championship point, sending the crowd into an uproar. It’s the second grand slam title for Murray in less than a year, having won the 2012 U.S. Open against Djokovic last year. He also took home the gold medal at the 2012 Olympic games in London.